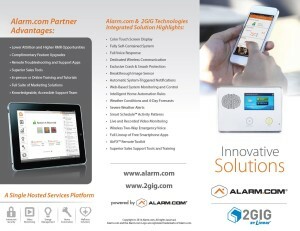 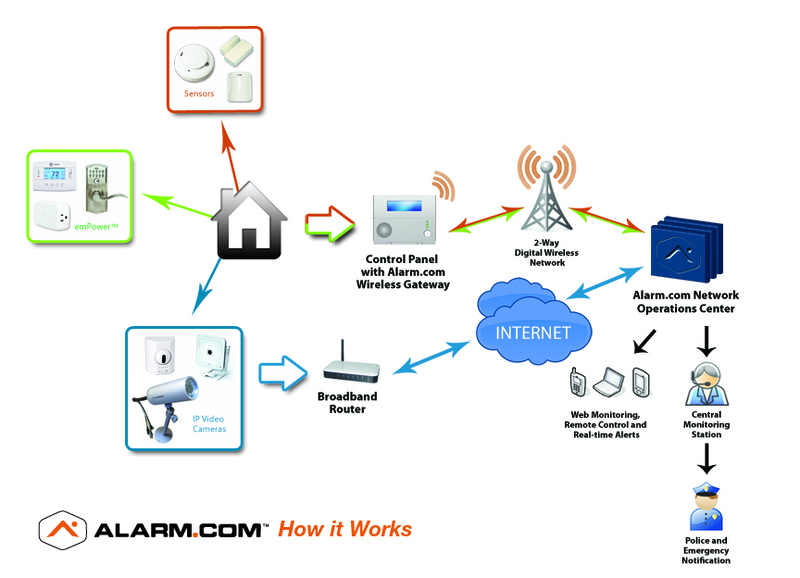 Alarm.com is the industry leading technology provider of interactive security, integrated home automation, energy management and video monitoring solutions. 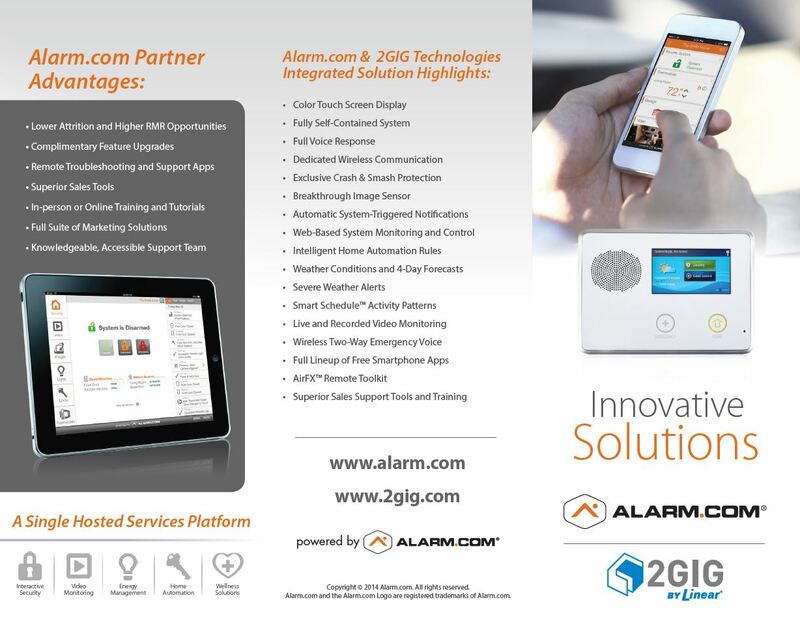 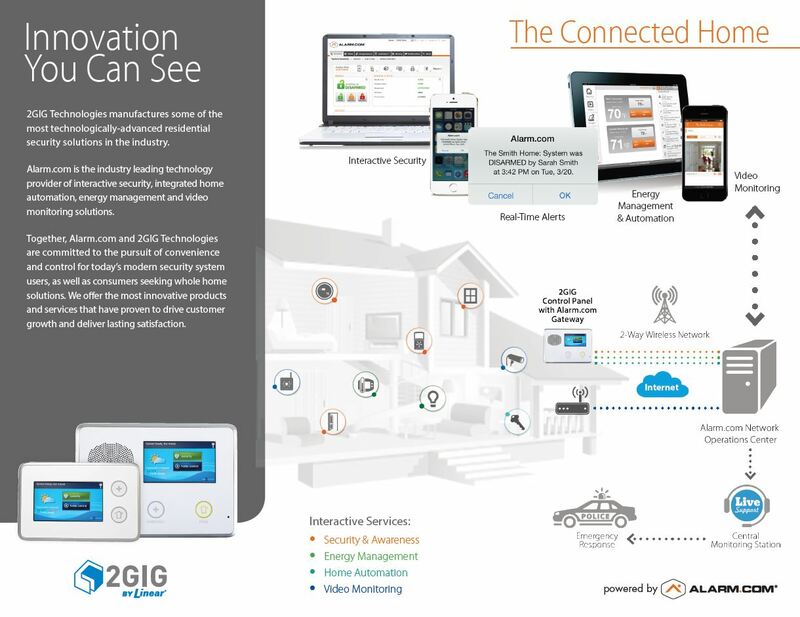 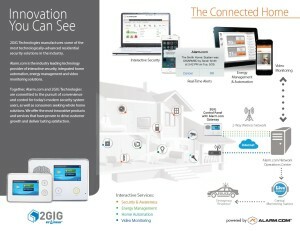 2GIG Technologies manufactures some of the most technologically-advanced security solutions in the industry. 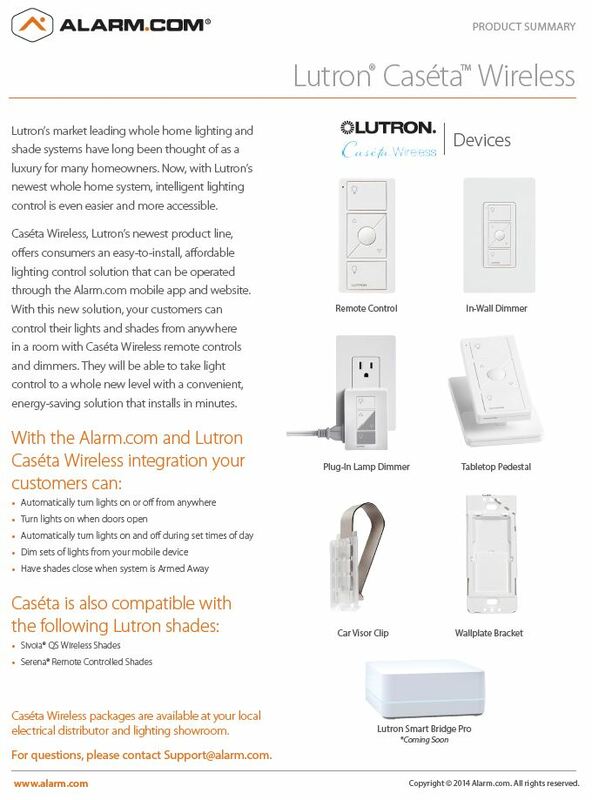 Lutron’s market leading whole home lighting and shade systems have long been thought of as a luxury for many homeowners. 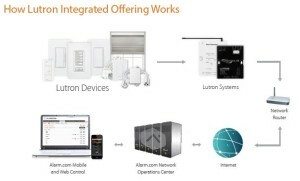 Now, with Lutron’s newest whole home system, intelligent lighting control is even easier and more accessible. 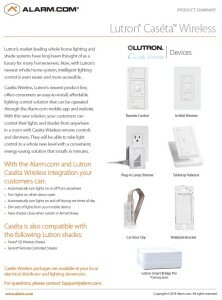 Caséta Wireless, Lutron’s newest product line, offers consumers an easy-to-install, affordable lighting control solution that can be operated through the Alarm.com mobile app and website.